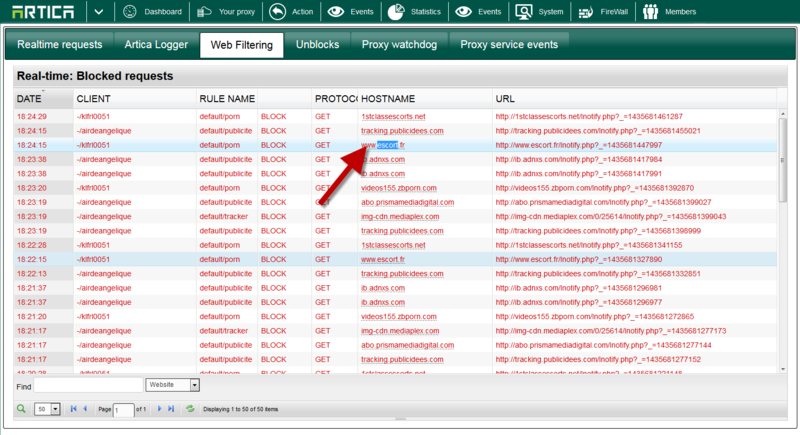 When displaying Web filtering real-time events, you have a quick shortcut in order to white-list a web site. 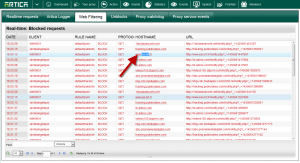 Click on the link in the hostname column. White-list this Website: Add the selected website into the global white-list (means everybody can access to the website without any web filtering process). Save into a Category: Add the selected website into a white-listed personal category. In this way, Artica compile the category and apply changes in the same task.